(0 Customer Reviews) | Write Review 13 issues per year iCreate. is the creative magazine for those with a passion for all things Apple. Covering the entire Mac platform, as well as iPhone, iPad and Apple Watch, it's packed with expert reviews, tutorials, features and guides. Accessible, smart and authoritative, the iCreate. brand thrives on the mantra 'instruct, inform, inspire', helping thousands of readers realise their creative ambitions no matter what device they are using. Please note: Digital version of the magazines do not include the covermount items or supplements that you would find on printed editions. Looking for iCreate in print? 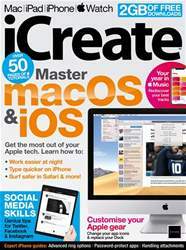 Unfortunately pocketmags.com does not sell print copies of iCreate, but all is not lost. Our partner at magazine.co.uk sells print subscriptions at the best prices online. 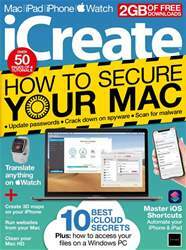 In this issue...Get the colour balance right in mixed lighting scenes, Enhance your projects with themed titles and transitions, Final Cut Pro X, Combine footage of different sizes and frame rates..
iCreate. is the creative magazine for those with a passion for all things Apple. Covering the entire Mac platform, as well as iPhone, iPad and Apple Watch, it's packed with expert reviews, tutorials, features and guides. 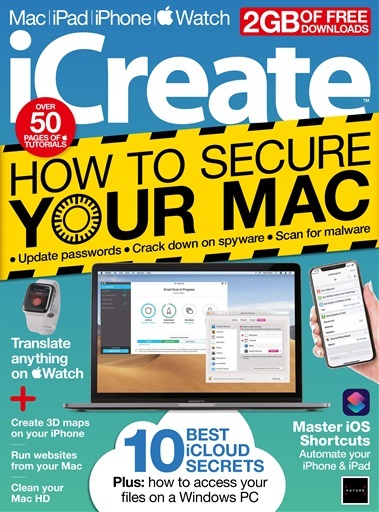 You'll receive 13 issues during a 1 year iCreate magazine subscription. 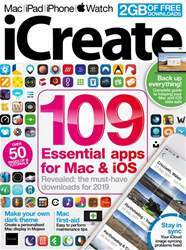 You'll receive 13 issues during a 1 year iCreate magazine print subscription.